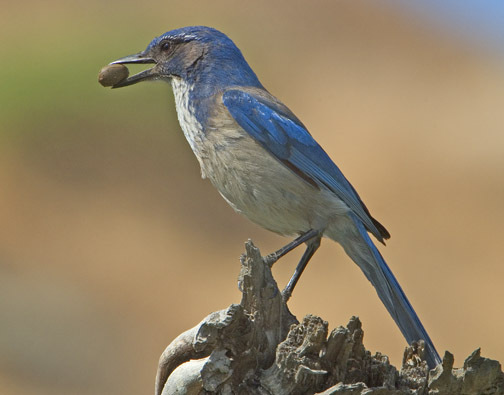 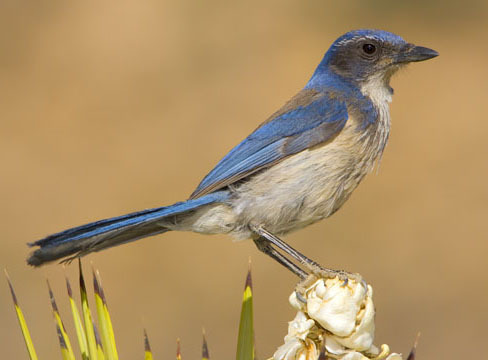 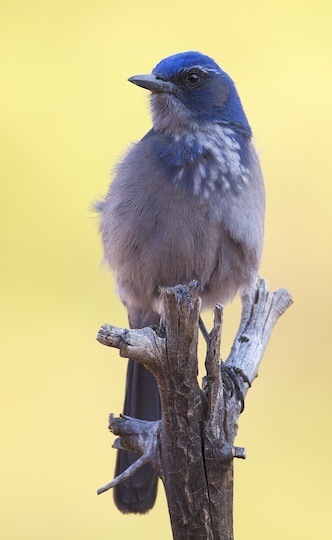 Scrub jays (Aphelecoma californica) are familiar in many rural and suburban areas of the western US, and especially in oak, pine, and chaparral areas in California. 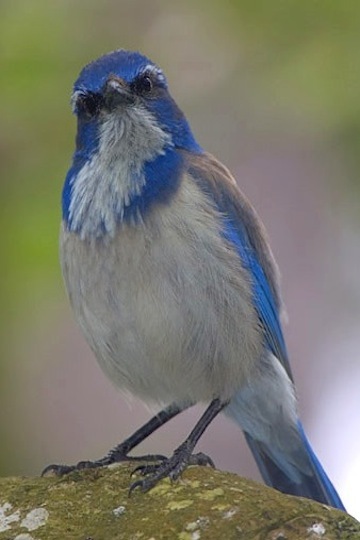 They often become very tame and their rasping 'shreck-shreck-shreck' call is a characteristic West Coast sound. 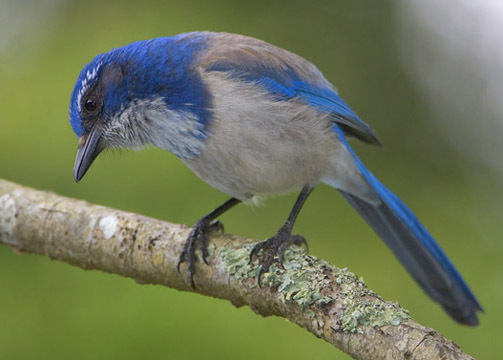 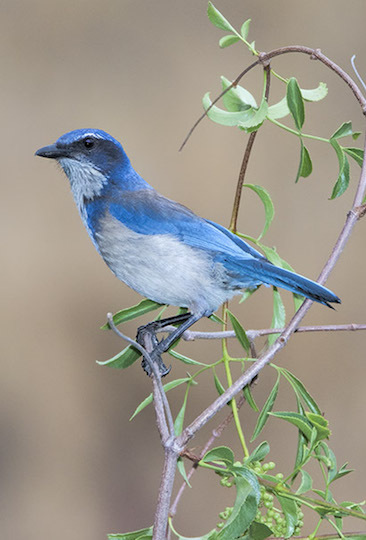 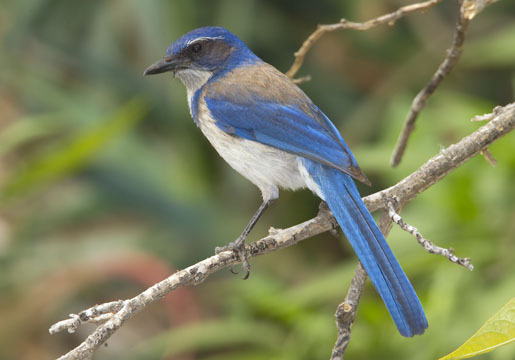 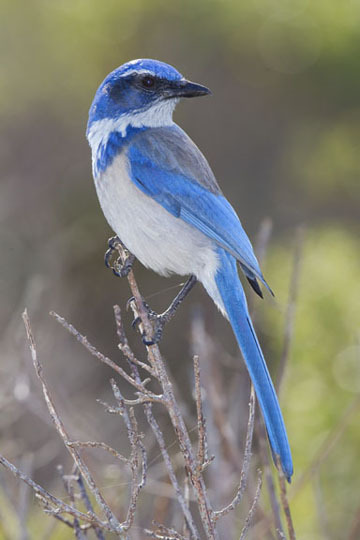 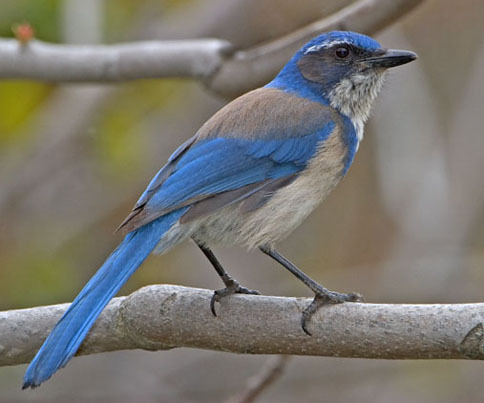 There is also a Florida scrub jay (A. coerulescens) and a recently described Island scrub jay (A. insularis, on California's Santa Cruz Island), neither of which is doing nearly as well as the widespread western scrub jay. 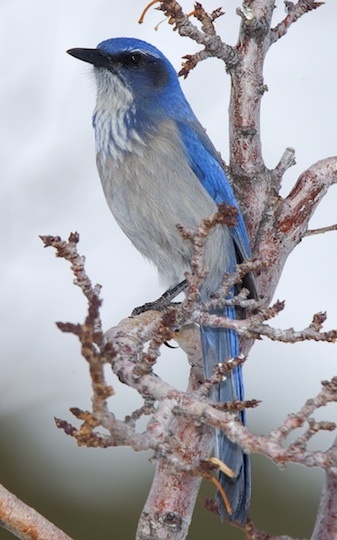 I took these pictures near Forest Falls in the San Bernardino Mountains in southern California, Two Trees Canyon in Riverside, California, in Riverside itself. 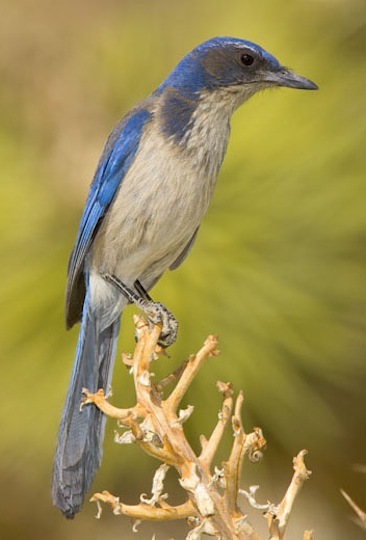 The very confiding jay below (waiting for a peanut) was in Pebble Beach, California, and the jay sitting on a Joshua tree was -- appropriately enough -- in Joshua Tree National Park in the California desert. 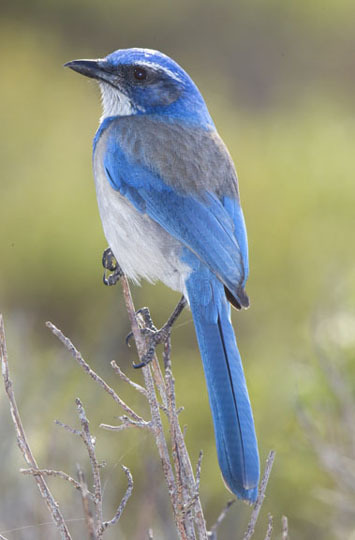 Two other birds were at Point Lobos near Carmel, California. 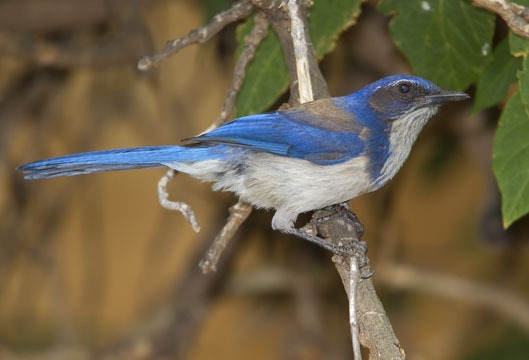 The birds at bottom right, photographed in deep shade in Zion National Park, Utah, and in Great Basin National Park in Nevada, are of the interior race, often called Woodhouse's scrub-jay. 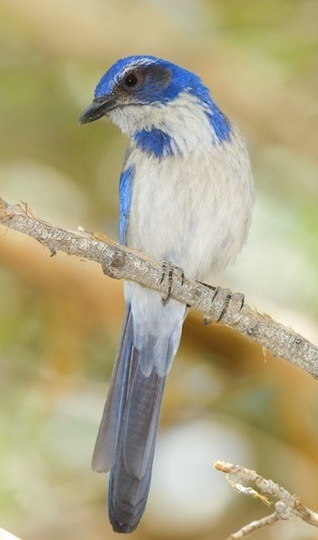 It may be a separate species (A. woodhouseii).